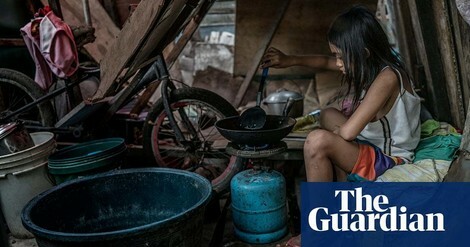 Rhoda, a 29-year-old widow, found herself responsible for seven children after her husband, Crisanto,who used to be a rubbish picker at the Payatas dump, was killed by police in a crackdown on illegal drug use. Rhoda was left alone to care for four children from her late husband’s previous marriage, two from her own previous marriage, and one from their marriage together. Duterte kämpft nicht gegen Drogenkonsum und -handel, sondern gegen die Armen. Das hat sich auch nach zwei Jahren nicht geändert. Und er wird es weiter tun, denn er wird dem Drogenproblem seines Landes nicht Herr. Er scheint, es zu verschlimmern.